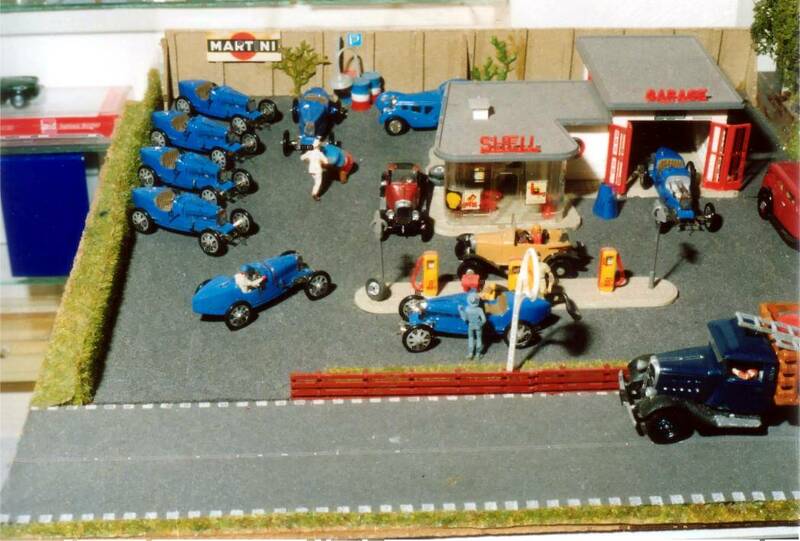 Bouwe de Boer sent us the following pictures of a diorama that was made in 1986, just before the Bugatti models were released. 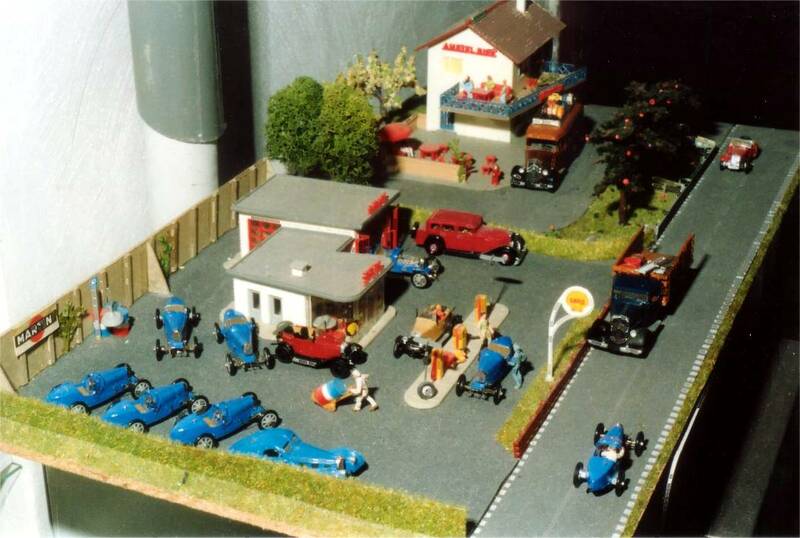 Observant visitors will also see other BdB models like the Citroën 5hp, the Citroën T32 truck, the Citroën T32 bus and an MG TF. 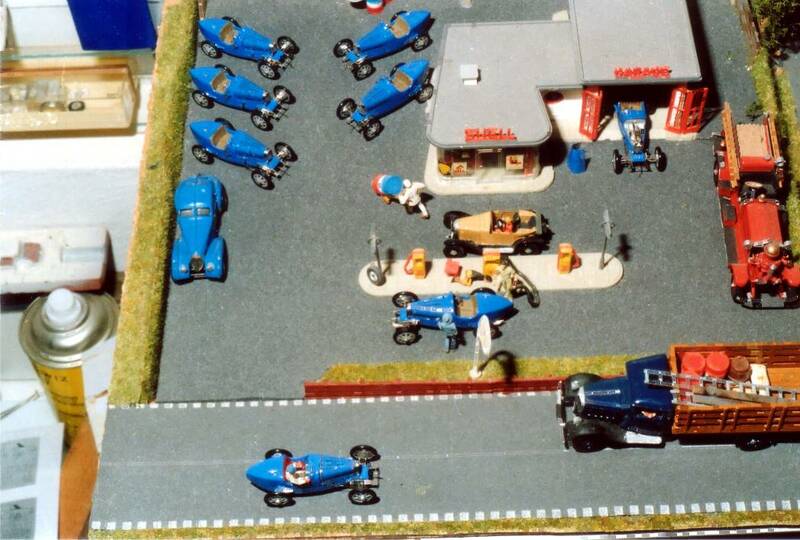 Among the other models in the pictures are a Bugatti Atlantic by Danhausen and the Ahrens Fox fireengine by Jordan. The pictures are thumb-nailed, just click to see them full-size !